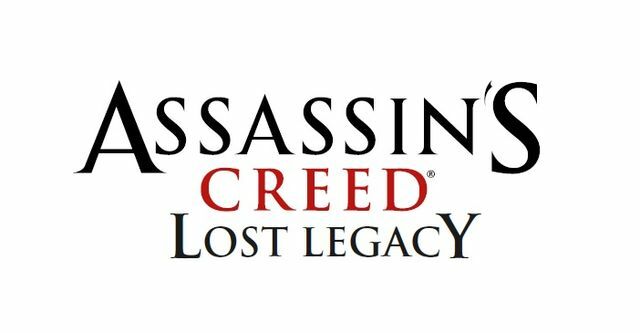 Assassin's Creed: Lost Legacy was a 3DS game developed by Ubisoft. It was announced at the 2010 E3 convention, alongside Assassin's Creed: Brotherhood, but little has been heard about it since then. The plot was about Ezio Auditore, who, after the events of Brotherhood, travels to the village of Maysaf to learn more about Altair, the central character from the original Assassin's Creed. Many fans were quick to point out that this plot is strikingly similar to that of Assassin's Creed: Revelations, the follow-up to Brotherhood, because Ubisoft wanted one more main series entry with Ezio, and opted to develop Lost Legacy into Revelations. "You may have heard of the game 'Lost Legacy' for the 3DS. It was announced, but that kind of morphed into this idea", "The story that was announced about Lost Legacy was that Ezio goes to Masyaf and investigates the holy land". It was internally cancelled in September 2010 but wasn't confirmed to the public until July 2011. No screenshots or video were ever released, save for the above logo. Because it technically came out, albeit as a different game, any work on Lost Legacy has probably since been deleted. ↑ 2011 joystiq.com interview with Darby McDevitt. Retrieved 31 Jan '14.